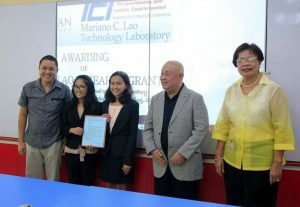 Three research projects by high school and college students have been awarded funding under the Research and Capstone Project Grant of the Mariano Lao Innovation, Creation, and Invention Laboratory (MLICIL). Launched last year, the grant is competitive incentive program that provides a maximum of P100,000 to projects that stimulate new and innovative ideas with an entrepreneurial value. 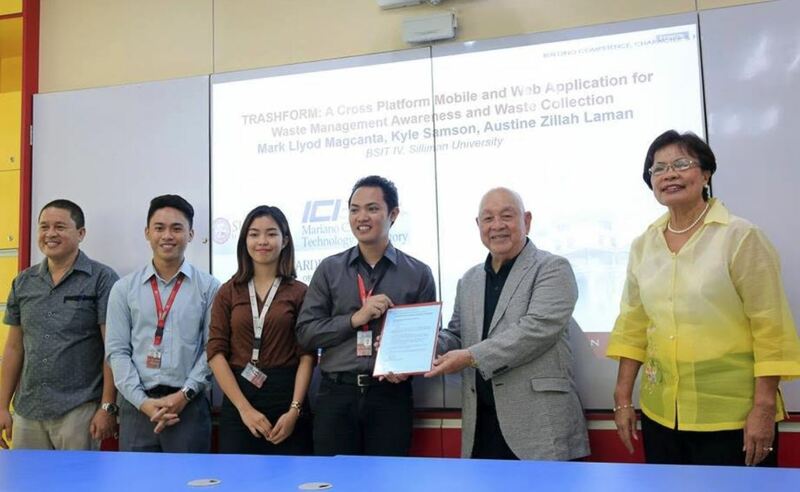 “TRASHFORM: A Cross Platform Mobile and Web Application for Waste Management Awareness and Waste Collection” by Senior Information Technology students Mark Llyod Magcanta, Kyle Samson, and Austine Zillah Laman. These projects were chosen from among the outputs of the Creativity Camp held earlier this year. Mr. Mariano Lao, a successful business tycoon who graduated from Silliman University High School in 1957, attended the awarding ceremony last July 20 where he shared with the students an important lesson on entrepreneurship. “There will be several occasions wherein no matter how creative your ideas are, doubt will always overcome you and your anxiety [over possibilities] of failing starts to grow,” he told the awardees. Silliman President Dr. Betty Cernol-McCann was also present during the awarding ceremony. She reminded the participants that “necessity is the mother of invention,” and reinforced how the three winning projects have been developed in response to a human need – medication, disaster awareness and waste management. Dr. McCann also expressed the University’s gratitude to Mr. Lao for his generosity that allowed students to learn and invent applications which would be of help to the community. Mr. Lao is one of Silliman’s generous benefactors. In 2010, he set up a scholarship fund for deserving Junior High School students. 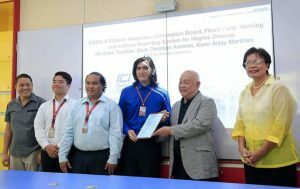 Three years later, he provided the funds to establish the Mariano and Lina Lao Activity Center and the MLICIL, which is envisioned as incubation laboratory for technopreneurial ideas (Read: High School Alumnus Returns to Fulfill Dream).